This article and data were updated on April 20, 2019. Below we show the Colorado ski resorts with the most new snow during the last 10 days (updated daily), plus the Colorado ski resorts with the largest potential snowfalls during the next five days. These two things, of course, generally tell the tale of where conditions are currently best and where they'll continue to be good for the next week. Just below these graphs, we cover what ski resorts in Colorado typically have the best snow historically and how each of these ski resorts perform during different times of the year. For skiers who are seeking prime conditions while planning their trips far ahead, as most of us do, this is vital information. Colorado's mountains cover a vast area, with thousands of square miles of terrain holding varied snow and skiing potential. Some Colorado ski resorts have better geographical positioning to catch consistent snow yields from storms, and some can be more prone to drought. These are the things that we study more closely, with more data, than anybody. We've compiled our data, based on decades of historical snowfall, latitude, elevation and slope aspects to produce the most authortative ranking of the ski resorts with the best snow in Colorado. We weighed average snow quantity, precipitation standard deviation, and a ski resort's propensity for preserving snow (north-facing terrain and higher elevations are best) and combined those factors into this list. We have included all resorts whose composite score, a combined product of these factors, registers a 70.0 or above, which places them among the elite snow locations on the North American continent. Those planning Colorado ski trips with a focus on conditions and better powder odds should consider this the definitive guide. Wolf Creek sits farther south in Colorado than any other major ski resort, but the mountain makes up for that with a base elevation that is more than 10,000 feet—one of the highest in North America. Further butressing Wolf Creek's snow profile is the geographic advantage of having 65% of its terrain facing north, which shelters its snow from the powerful rays of the southern Colorado sun. 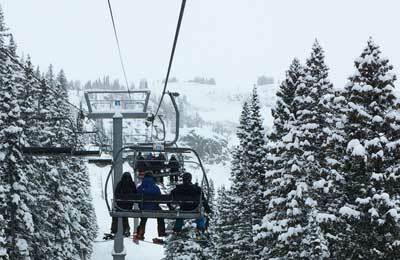 In addition to these considerable advantages, Wolf Creek receives more snow than any other ski hill in the state, with an average of 387 inches of winter precipitation. Wolf Creek is arguable the hardest mountain to get to in Colorado, but powder seekers know that a flight to Durango and a 100-minute drive is a worthwhile journey. Winter Park sits off by itself in Rockies west of Denver. Unlike so many of the ski areas drivable in two to three hours from Denver, Winter Park is relatively far away from I-70, up and over Berthoud Pass on US-40. This separation is relatively advantageous for Winter Park, which can haul in more snow from some storms than ski resorts to the south in Summit County. The ski resort nets an average of 347 inches of snow per winter season, which isn't tops in Colorado, but combined with Winter Park's other characteristics it makes for a compelling snow proposition. Those other characteristics: a base elevation of 9,000 feet and a top elevation of 12,060 keep the rain away, and with 50% of its terrain facing north, Winter Park preserves the snow its gets very well. Loveland is a place that most skiers who have been to Colorado have seen, but most of them plow right on by it and keep trekking west toward different destinations. These drivers should consider pulling over, getting out of the car and putting in a full or half day at Lovelend. Unbeknown to most skiers, Loveland, which straddles the Eisenhower tunnel on I-70, holds some of the best snow in Colorado. Its upper reaches also include swaths of steep terrain that rival the best pitches at A-Basin and Telluride. 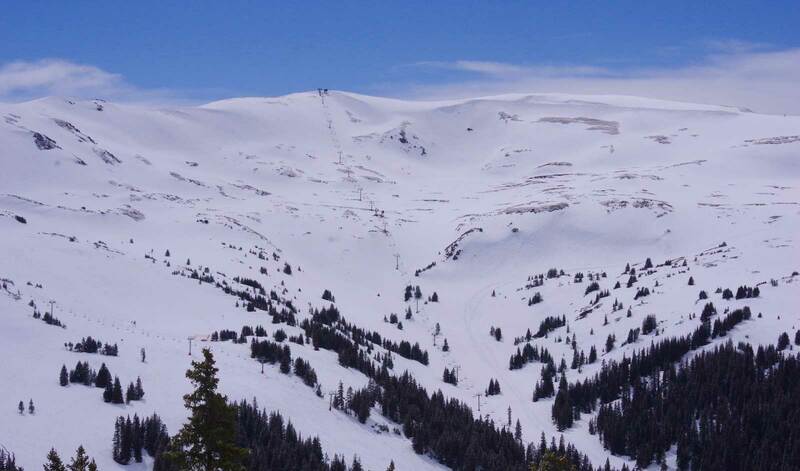 Loveland receives a true average of 344 inches of snow each winter. That considerable total is preserved by the highest base elevation in North America, at 10,800 feet. Loveland peaks out at 12,700 feet, an elevation that will keep snow white well into the summer. In addition, 40% of Loveland's terrain faces north, which, combined with its high elevations, keeps powder refrigerated and chalky. The flagship ski resort of Colorado is also a snow superstar, as it collects an average of 345 inches of Rockies powder every winter. Vail has fairly average elevations for Colorado, but as anybody who has driven by the place on I-70 can attest, it has wide swatches of terrain that face north—40% of the mountain—which keeps snow well preserved into the spring. Vail sees very few prolonged droughts, with only 10.7% of its winter months registering less than 30 inches of snow—an excellent number for Colorado. Vail typically catches more snow from storms than other ski resorts that sit along I-70, making it a great bet for skiers looking to grab a powder day or two from Denver. A-Basin sits on the east side of Vail Pass, which generally cuts down on the total amount of snow it catches from storms, but it still nets an average of 314 inches of snow per winter season, a good number that is bolstered by the mountain's other traits. A-Basin has a high base elevation of 10,780 feet and a full 55% of its terrain faces north, which keeps snow cold far into spring. In fact, A-Basin is one of the best spring skiing bets in all of North America, and Coloradoans flock to the place in March, as its parking lot turns into something resembling a Broncos tailgate party. Better known for fancy accommodations and free chocolate chip cookies, Beaver Creek is also a sneaky snow play, as it receives a robust 325 inches of powder during an average winter. In addition, Beaver Creek is helped by the fact that 55% of its terrain faces north, one of the highest ratios in Colorado. This helps preserve snow and keep conditions chalky when other ski resorts have gone soft. Of the four ski mountains that comprise Aspen, Snowmass receives the most snow, with an average winter bringing 295 inches. In addition, the ski resort tops out at a lofty 12,510 feet, an elevation that keeps snow cold. Most important, 60% of the terrain at Snowmass faces north, which preserves the snow that falls and keeps it out of the Colorado sun, making Snowmass a great bet for spring skiers. 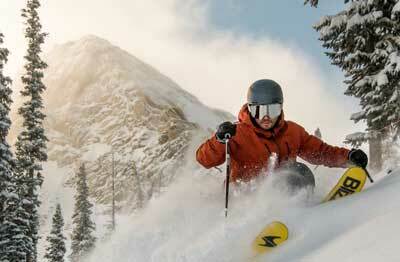 Steamboat is lower than most of the other mainline ski resorts in Colorado, with a base of 6,900 feet. The area makes up for that fact with an average snowfall of 368 inches, a number that trails only Wolf Creek within the state. Steamboat's slopes are less rocky than most and much of its terrain descends at angles ideal for skiing—between 30 and 38 degrees. That fact, plus its big snow numbers mean that Steamboat tends to get terrain open faster than most other ski resorts in Colorado, making it a great bet for early season forays in search of powder. Steamboat's snow tends to be among the driest in North America, as storms get parched coming across the western Colorado plateau. Copper is on the east side of Vail Pass in Summit County, which means it gets less snow than resorts on the west side, which see storms first. It still receives 278 inches of snow, however, and Copper has secret weapons: its high base and peak elevations of 9,712 feet and 12,313 feet, plus a layout that takes full advantage of north aspects. 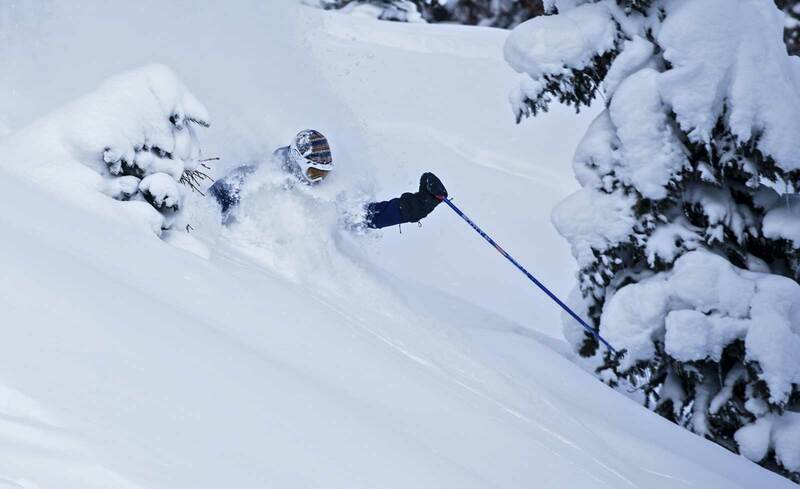 A full 55% of Copper's terrain faces north, in fact, which, combined with its high elevations, gives Copper one of the best spring skiing profiles in the state. It's a great play from February on through March and lodging at Copper Mountain can be significantly cheaper than at Vail and Beaver Creek. 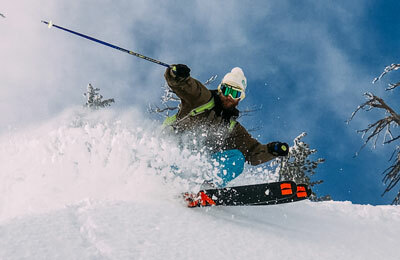 Monarch benefits from 284 inches of snow that falls on the second highest base area in North America, at 10,790 feet. When the lowest runs on the mountain end at only a smidge less than 11,000 feet, conditions tend to stay in the prime range at Monarch. In this central Colorado location, 35% of the terrain faces north, helping preserve all of the snow that settles in. Monarch is something of a local's secret in Colorado, treasured by those who live in the valley below in Salida. Breckenridge can stack up some very large snowfall numbers during single storms thanks to its high elevations—it tops out at more than 12,800 feet. The upper reaches of Breck preserve snow quite well, especially the north-facing aspects of the upper bowls. that can hold their snow well into summer. Breck would score even higher here if more of its terrain faced north, but it's still a good bet throughout the season to deliver good conditions. Telluride receives an annual harvest of 276 inches of snow, which is fine but not outstanding for Colorado. That said, the ski resort's terrain does an exceptional job preserving snow that has fallen, with a top lift-serviced elevation of 12,570, with hike-to terrain offering access to in-bounds terrain perched above 13,300 feet. In addition, 50% of Telluride's terrain faces north, keeping things cold and chalky into April. Telluride is one of the few mountains whose conditions tend to keep improving well into spring, similar to those of A-Basin. The north facing runs into town usually stay cold and well-covered until the season's closing bell. Christopher Steiner is a veteran ski writer, an angel investor, and a New York Times Bestselling Author of two books. Main Photo: Monarch Mountain, CO. Credit: Kathryn Robinson, Colorado Ski Country.